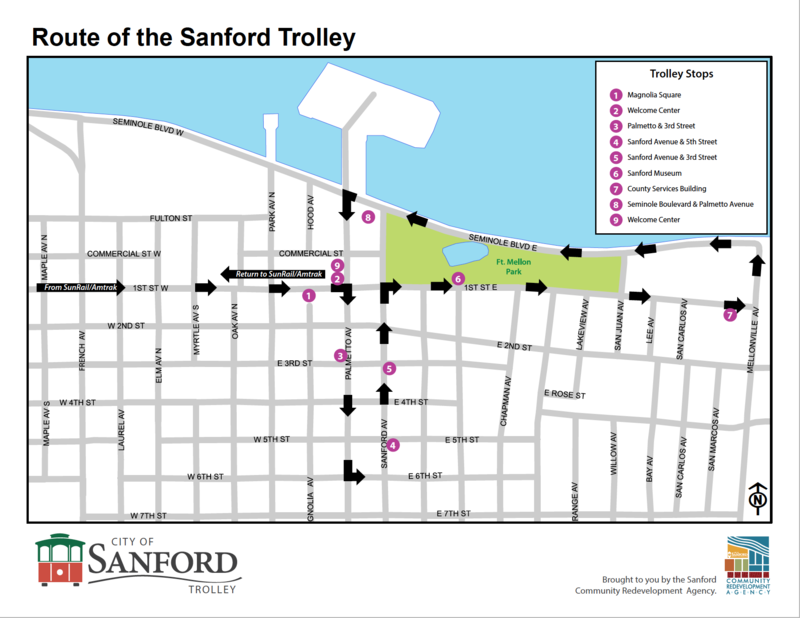 City of Sanford FREE shuttle service. 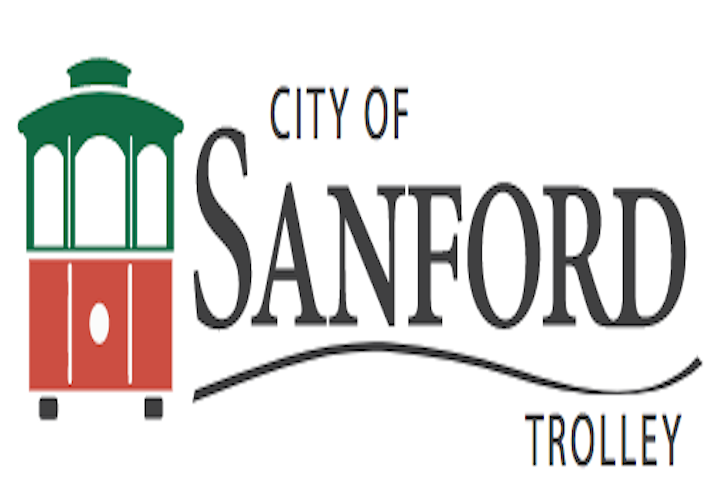 (Select web icon or scroll pictures for map & schedule) For several years, the Sanford Community Redevelopment Agency has been providing daily transportation for passengers from the both SunRail and Amtrak train stations to Downtown Sanford’s Historic Welcome Center on First Street. 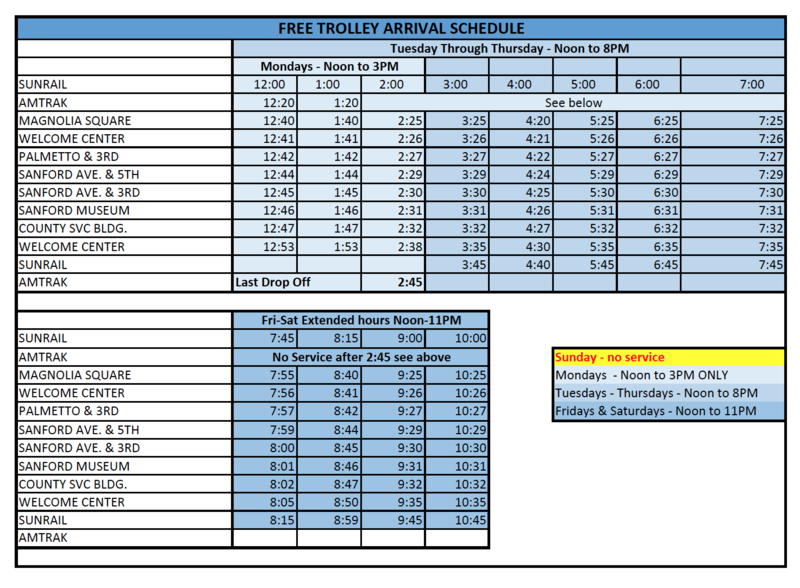 Now a NEW historical trolley is replacing the shuttle van and adding several stops within downtown. Additionally, the hours of operation have been extended to better serve citizens and visitors alike.